e-Raptor Insert compatible with Forbidden Stars is a perfect accessory designed to organize and improve gameplay of the board game. 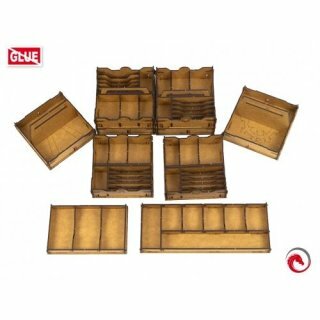 You can hold all your player boards, miniatures, tokens, sleeved cards, dials, map tiles, dice etc. in one place without being afraid of losing control of the setting. 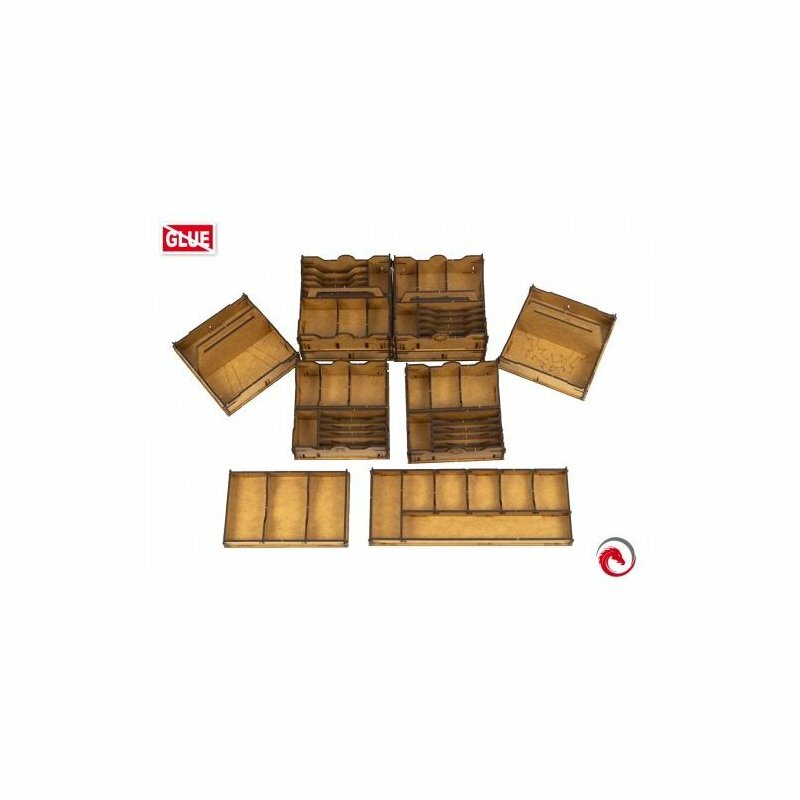 They can be easily accessed and do not take as much space as during the game without an insert. Also, when the box is closed, the components are still kept in order, ready for setting another game quicker than ever before. 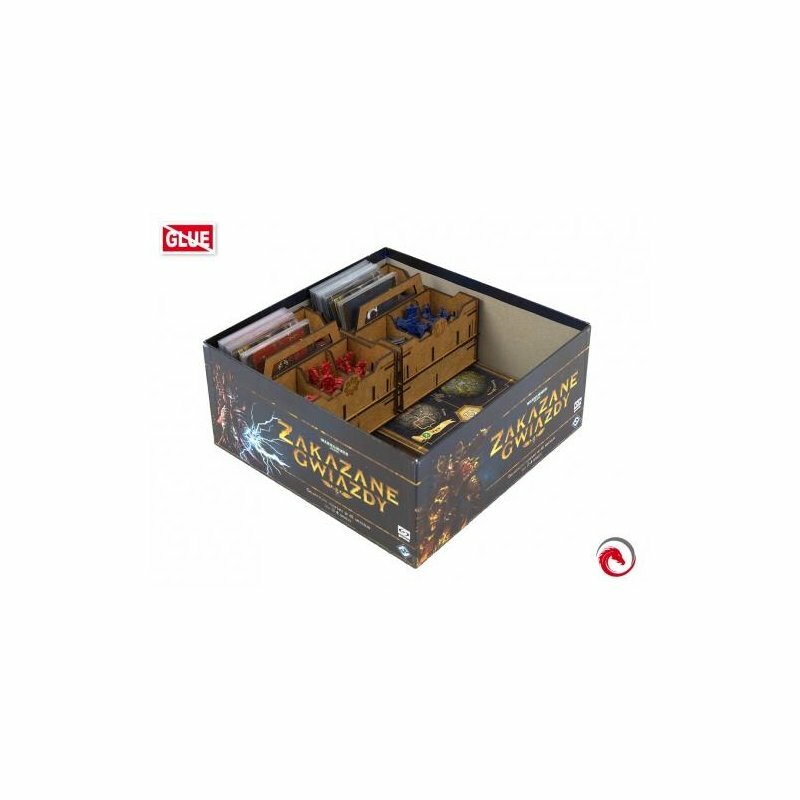 The insert is composed of two accessible trays and one special box for each of four factions. Everything can be easily taken out of the board game box, which makes sorting and reaching all components very convenient. You can see the suggested components setup on the pictures. Each faction box is composed of two parts which can be separated. Every box is designed to hold all components of a single faction. The insert is durable and made of high quality HDF. To assemble it, there is no glue required. 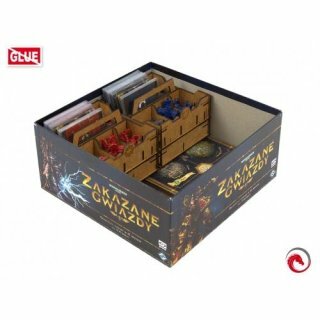 It allows to hold all components inside the box, including player boards and both manuals.